A new character poster has dropped featuring the enigmatic L in Adam Wingard’s American adaptation of the acclaimed Death Note manga and anime series originally written by Tsugumi Ohba and Takeshi Obata; the poster prominently features L, the mysterious and odd detective that’s trying to take down a seemingly omnipotent serial killer. The random scribblings are evocative of the writing in the Death Note itself, and L’s peculiar style here is reminiscent of some kind of graffiti artist. In Death Note, a special task force led by Light’s father attempts to track down Kira to put an end to his reign of terror — without knowing how close the serial killer really is. L cooperates with the task force and assumes de facto leadership to uncover the truth and bring Light’s protagonist-villain to justice. He keeps his true identity a secret and uses the alias of L to protect himself. His brilliant mind is unparalleled. Imagine a young, pseudonymous Sherlock Holmes who manipulates the digital resources of every intelligence agency on the planet, and you’ve got a loose understanding of what L’s like. Will L’s hidden identity help him avoid getting his name written in the titular Death Note? Will he even be able to take down Kira? 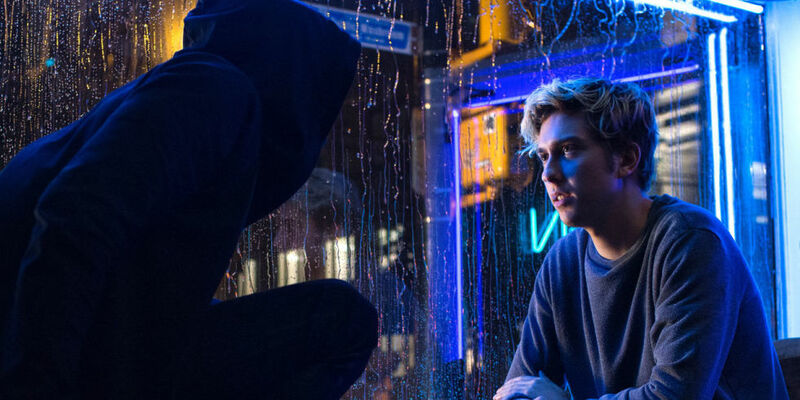 Fans should find out when Netflix’s Death Note premieres on August 25, 2017.